Now at first glance, you are almost certainly going to think, “Now wait a minute; isn’t this kind of like profiling”? My answer is yes it is, but only to the extent that we might be better able to help them by being “relatable”. In order for your target audience to connect with you, it is essential that you are speaking their language right from the beginning. In our world, big corporations spend a lot of money figuring out how to get us to buy their products. They take a lot of time trying to determine exactly who their target audience is before they ever start their marking campaign or spend that first dime on marketing. Figuring all of this out right from the beginning can not only save you a lot of money, but it can mean the difference in getting the desired results from your marketing efforts instead of your message falling on deaf ears. 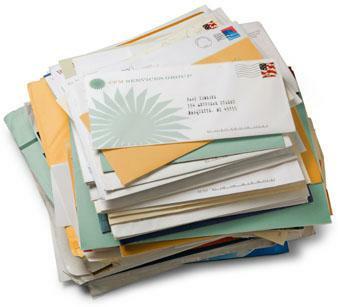 Take some time determining your marketing piece and the message on that letter or postcard is right for your audience. 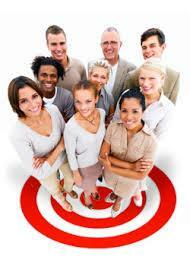 2 main groups, you will find different sub-groups or types of direct mail pieces. Letters are typically either white professional letters or yellow letters. Most people are familiar with yellow letters. They are the ones that appear to be handwritten on yellow, lined paper much like a legal pad or they may actually be handwritten in some cases. That particular mail piece often sends out a message that says, “I am just a regular guy trying to eke out a living”. In other words, I’m just a regular guy. White letters are just simply professional, computer generated mail pieces on letterhead. They project an appearance that says, “Hey, I’m a professional real estate investor”. I am an actual company. Where postcards are concerned, there are two main types that I have found. One postcard is on either white or colored card stock (typically yellow) with black type, and the other is a full color postcard that is often glossy. Once again, each mail piece projects a different message. When choosing your mail piece, it is important to match it with your target audience. Yellow letters often resonate with folks in inner city neighborhoods. They aren’t threatening in any way. The same thing is true for folks in foreclosure in certain types of neighborhoods. Will they work for someone in the same situation in a high end neighborhood? It’s very unlikely. That particular group of folks in high end neighborhoods is going to be looking for someone to help them that projects themselves as a real business and uses a professional mail piece like a white letter. They want a “closer”; someone they can look at and know they have the resources to help them. Things may be very much about appearance with this particular group. You just need to get in the door, so choosing the right marketing piece is really important. When I talk about white, computer generated letters I hear folks say this all the time; “But I want them to know I am just a regular guy; not a corporation”. Even when you are sending out a white letter, you can certainly project this image by what you say in your opening paragraph in your letter. You might say something like, “I am a local real estate investor, and we have been doing business here in this area for over a decade”. You have the opportunity to portray yourself however you want to be viewed. Just remember that the recipient has to actually open the mail piece and read it though. When Should I Only Use White Letters? I strongly believe that you should only use white letters for probates. I have worked in this niche for a long time, and I hear a lot of comments from folks about receiving yellow letters and postcards. Overwhelmingly folks in probate are upset when they get either one of these mail pieces so just don’t do it. Postcards work very well for most niches. One thing to remember is that anyone can read what is on a postcard; your neighbor, the mail carrier or anyone else that might happen to see it. Be very careful what you say on your postcard. Someone that is in the foreclosure process may be embarrassed to receive a postcard offering to help them solve their problem “before their home goes into foreclosure”. Be careful to ensure that your message doesn’t invade their privacy or cause them embarrassment. Keep your message very generic and don’t mention the foreclosure or “their problem”. In general, I have the same results with postcard as I do with white letters for my absentee owner mailings in my area. This may or may not be true for you in your particular area. Everything needs to be tested. When Should You Use a Postcard that Different? If you happen to be marketing to folks in high end neighborhoods, your audience will most likely be looking for a more professional mail piece than the typical yellow postcard. A high gloss, full color postcard will generally work well for this type of mailing. Direct mail marketing really isn’t rocket science. Take some time to think about exactly who your target audience is, choose your mail piece and just get started. ← So You Want to Fix and Flip Houses? Sharon…Very good write-up. I like your recommendations around the different mail pieces and what audience it will attract. I’ve see so much written on yellow letters and postcards and still feel a professional look will be the most appealing. I guess you could say I’m kind of a “direct mail snob”. I really believe in using the most professional mail piece possible for your audience. I personally don’t use yellow letters – ever. But then I don’t market to inner city neighborhoods. They work well in that market. I know that if you don’t match up your mail piece correctly with your target audience you are just throwing money down the drain. Thanks for stopping by.